Every spring, Oregon State University’s SMILE (Science & Math Investigative Learning Experiences) program, which is part of the Office of Precollege Programs, hosts Challenge events for high school, middle school, and elementary school students. These K-12 students are involved in SMILE clubs all over the state of Oregon. 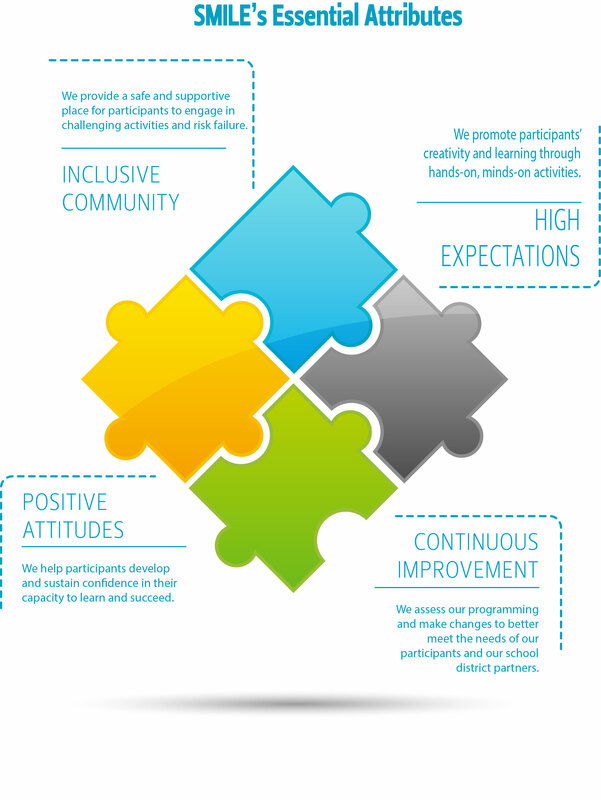 SMILE’s mission is to “increase underrepresented students’ success in STEM degree programs and careers and deliver high-quality teacher professional development” . I am designing an activity for the spring Challenge Events at OSU’s new Marine Geology Repository (MGR) for elementary students (4th and 5th grade) and high school students (9th through 12th grade). Each group of ~25 students will visit the MGR for 1 hour. 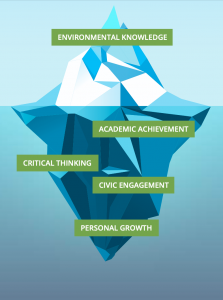 I have designed each event with the Next Generation Science Standards (NGSS) in mind. For the high school students, I’ve drawn from HS-ESS2-6, which strives to, “develop a quantitative model to describe the cycling of carbon among the hydrosphere, atmosphere, geosphere, and biosphere. [emphasis is on modelling biogeochemical cycles that include the cycling of carbon through the ocean, atmosphere, soil and biosphere (including humans), providing that foundation for living organisms]” . For the elementary students, I’ve drawn from the disciplinary core ideas for 4th graders related to understanding the history of the Earth and how living things affect the physical characteristics of their regions. For all K-12 students, the NGSS seeks to instil an enduring understanding of the scientific method. Thus, my broad objective is for learners to have an enduring understanding of estuarine habitats and their ecosystem services (especially carbon burial) so they can rationally use and advocate for conservation of coastal resources. Another important goal is for students to see themselves as scientists. I will therefore both speak about my pathway into science and also set up the activities to follow hypothesis-based lines of reasoning. This is a lot to accomplish in only one hour! I’ve been working to design a lesson plan that covers all of these topics in hands-on activities that fit into my limited timeframe. I plan to allocate 10 minutes to welcoming the students to the core lab, describing the MGR, and talking about my path into science. We’ll then have a 10-minute discussion about the carbon cycle, why it’s important for global climate, and where carbon gets stored. I’ll also play our video of how we collect sediment cores. 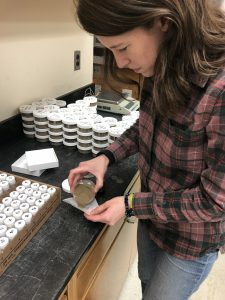 Students will then be divided into groups of three and the next twenty minutes will be devoted to a hands-on activity assessing carbon concentrations within a sediment core. The cores I’ve chosen for each group will have obvious stratigraphy, with many different layers of sand, silt, and clay (below is an example). Along the length of the core, I will have a timeline so the students can get a sense of the timeframe over which salt marshes record environmental history. Samples from the core that vary in terms of organic matter content will also be set up under stereoscopes for students to look at the core material in detail. The students will have the ability to feel the sediment and look at it using hand lenses, as well. After the students have been able to observe the core, the aid at the table will ask the students to formulate a hypothesis about what kind of sediment from the core will have the highest carbon content. They will then take small samples (~3) and put them in beakers on a hot plate. A little bit of hydrogen peroxide will then be poured over the samples and the ones that bubble the most will have the highest organic matter content. They will then assess their hypothesis and the aid will lead them through a series of follow up questions. For instance, what kind of sediment (mud or sand) stores the most carbon? What other kinds of factors might influence the amount of carbon buried in salt marshes? CT scan of an example sediment core used in the activities. The lighter portions of the image are more dense, sandy material. Darker portions of the image are less dense, organic-rich sediment. The left side of the core is the top, which is present day. Following the activity, we’ll all come back together for a short, ~10-min discussion of what they learned, and I will answer final questions from students. In the remaining time, students will be led on a short tour of the MGR. Throughout this process, I’ve received a lot of helpful advice and support from friends and colleagues. Members of the College of Earth, Ocean, and Atmospheric Sciences (CEOAS) Science Communication group, including Abby Metzger (the Communication Manager in CEOAS), have provided me with advice along the way and have donated their time to a mock demonstration at the MGR. At the OSU MGR, the education and outreach coordinator, Cara Fritz, and other staff (Maziet Cheseby, Coquille Rex, and Valerie Stanley) have been wonderful sources of knowledge. Cara has additionally graciously agreed to help during the Challenge Events. Additionally, I’m very grateful to the staff at Precollege Programs. I’ve been working with Jay Well, who has been extremely helpful and generous with his time. Outreach takes a village! 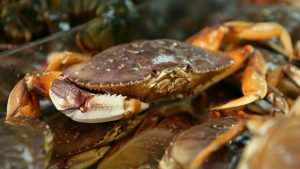 For those of you who have spent time on the Oregon coast in December, you’ve almost certainly heard talk of the commercial crab season opening. These conversations aren’t confined to the docks or a visit to the ODFW office, they can be heard over dinner at any one of the local seafood restaurants, in line at the grocery store, or casually discussed on the city bus. As the most valuable single species fishery in Oregon, Dungeness crab represent an important source of income to many of the people and communities along the coast. Landings of Dungeness crab have been recorded in Oregon since 1889 and, since that time, three very active targeted fisheries have developed surrounding this species. The fisheries are managed at the state level with the Oregon Department of Fish and Wildlife (ODFW) as the lead agency. However, managers currently face a number of complex management challenges associated with this key resource. Over the past three months, I have had the opportunity to closely observe many of the conversations about Dungeness crab between fishery managers, industry members, and the broader coastal community. 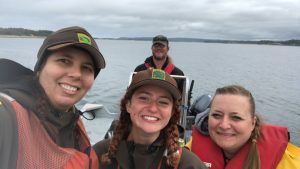 In December, I was brought on to work alongside staff from ODFW’s Marine Resources Program (MRP) to develop a Fisheries Management Plan (FMP) for the Dungeness crab fisheries in Oregon. My position is supported by the Nature Conservancy, who shares the goal of developing FMPs that allow for equitable access to marine resources while promoting the sustainability of fishery species. 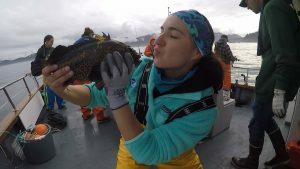 I have a degree in Marine Resource Management from OSU and have spent many hours learning about different principles and practices in fisheries management, but I was particularly excited about this fellowship because it would allow me to be a part of the process and experience the practical applications of those topics that I knew largely from textbooks. I looked forward to learning from the many years of experience of the fishery managers that I am working with and from the complex interactions between stakeholders. What I had not anticipated, was how much I would learn simply from living in the town of Newport and exploring my new coastal community. So far, the list of experiences that I’ve had in this position have been extremely diverse and rewarding. I’ve been able to dive into research on historical and existing policies surrounding the commercial and recreational crab fisheries in Oregon. I’ve assisted with hold inspections and dockside sampling which allowed me to interact with fishermen in a variety of positions and on different vessels ranging from small boats that fish for several hours and hold less than 1000 lbs of crab, to those that spend two weeks at sea and return with 150,000 lbs. I’ve attended meetings of the Oregon Dungeness Crab Advisory Committee (ODCAC) which has provided me a glimpse of the unique needs and perspectives within the commercial crab industry that we will strive to encompass in the crab FMP. However, I would add to that list that I have also eaten in restaurants eagerly anticipating the influx of fresh crab that draws crowds of locals and tourists alike. I have witnessed the community mourning the loss of their own after the tragic death of three crab fishermen in the capsizing of the Mary B II in January. And I frequently walk along the working waterfront in Newport and observe the many indirect ties between crabbing and other local businesses. Given the suite of emerging issues and changing ocean conditions related to this fishery, a fisheries management plan for Dungeness crab will not only provide an important, comprehensive tool for managers, but will also help to support a fishery that is central to the culture and identity of the Oregon coast. I look forward to learning more as I continue to become a part of the Newport community. Fire and Drought and El Niño, Oh My! This is just one example of how changing ocean conditions are affecting Oregon’s coastal communities. Now, researchers at Oregon State University are evaluating a National Oceanic and Atmospheric Administration (NOAA) webinar called NOAA West Watch. Specifically, they are seeing if the webinar can be changed to communicate these extreme environmental conditions to Oregon’s natural resource managers. Currently, NOAA West Watch communicates information about abnormal environmental conditions to NOAA scientists. Specifically, the research team is including Oregon’s natural resource managers in this webinar to improve regional coordination and communication. This could lead to a more ecosystem-based view for problem solving. To do this, the researchers are inviting a variety of Oregon resource managers, local scientists, and non-governmental organizations to watch the webinars and provide feedback on how to improve the webinar for a more manager-friendly audience. Why do we need a more “ecosystem-based” view and manager-friendly audience, you may ask? Historically, much of our natural resource science and management occurred on a sector-basis. For example, scientists who studied fisheries often didn’t talk to scientists who studied estuaries. The same often occurred with management, as agencies have specific jobs and management roles in the environment. Managers had to find information across many subjects and determine what was important for their decision-making. Over the past couple of decades, management has shifted to an ecosystem-based management (EBM) framework that considers all ecological and human connections within and to the environment. Despite this mentality shift, natural resource science and management is still highly disjointed. 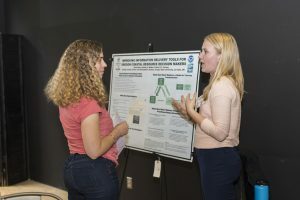 Strengthening connections between natural resource science and management is increasingly important as our coastal ocean changes. Accordingly, both scientists and managers will have to anticipate and plan for changes to our environment and resources. Evaluating NOAA West Watch can determine if this communication tool can support EBM by including a variety of scientists and managers in a setting that is responsive and adaptive to environmental changes on the West Coast. if it can be flexible to changes in the natural and human environments. On a cold, windy day along the Oregon Coast, it can be easy to want to head indoors and forget about the rest of the world. But as a larger ecosystem, Oregon’s coast is connected not only to the surrounding ocean environment, but also to land. 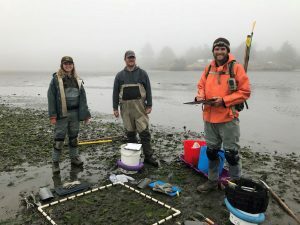 Additionally, the coast serves as a place where humans make connections, including providing opportunities for managers and scientists to work together. Scientists and managers are tasked with effectively studying and managing this diverse, changing ecosystem. To do so, they need to understand ecological and human connections that are occurring in the coastal region. 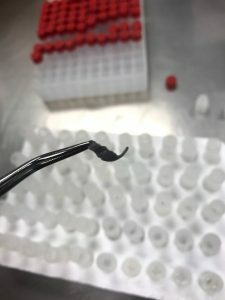 “Sometimes we get so focused on what is happening here that we might fail to look at connections that are happening in other places,” said one Oregon resource manager who participated in the study. Additionally, the researchers are seeing if NOAA West Watch can help with the reporting of Oregon’s local marine environmental impacts. As community representatives, Oregon’s managers would speak for a local perspective in global environmental changes. Managers can share community environmental observations with NOAA employees during NOAA West Watch. NOAA can then include these observations in future science and policy. Initial results indicate that NOAA West Watch can help communicate human connections in the larger western regional ecosystem. Examples of unusual environmental conditions and their impacts to Oregon that were presented in NOAA West Watch. 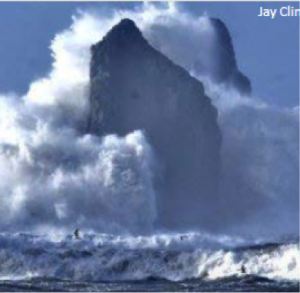 Left, large offshore storms created record high waves along the Oregon coast in January of 2018 that left one dead. Right, delays to commercial Dungeness crabbing along the West Coast resulted in $400 million of direct impacts in January of 2017. Furthermore, evaluators are determining if NOAA West Watch can bring together a wide range of science and management fields to build communication among competing coastal users. Given the ocean’s limited space, stakeholders need to discuss which ocean uses they prefer. However, it can be difficult to explore costs and benefits of certain uses if information is distributed across natural resource subjects. This research seeks to represent a variety of Oregon’s coastal science and management interest in NOAA West Watch webinars. Broad representation may help promote individual connections to build into institutional partnerships. 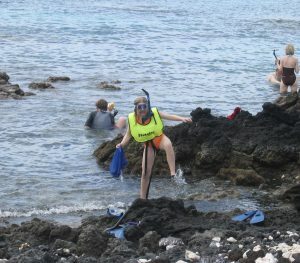 Compared to land environments, the ocean is generally not as well understood. Therefore, Oregon resource managers have to be flexible to changes in scientific progress. 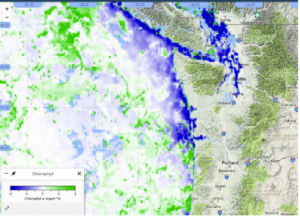 NOAA West Watch may help improve understanding by quickly combining and communicating environmental condition information; Oregon’s managers could then use that information for decision-making. Frequent webinars may help managers monitor changing physical conditions used to anticipate biological events. For example, managers can keep an eye on conditions that may lead to harmful algal blooms and shellfish fishery closures. 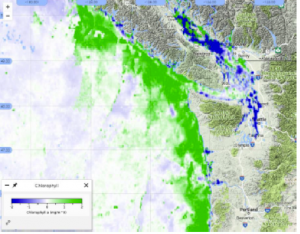 NOAA West Watch webinars present environmental condition information to follow changes in the coastal ocean, such as these maps of chlorophyll concentration which can indicate harmful algal blooms. On the left, January 2017 conditions show a low number of phytoplankton, our marine plants. However, two months later (right), chlorophyll concentrations increase, indicating that a harmful algal bloom may be developing. With a changing climate, Oregon is expected to have increased droughts, changes in fish distribution, and increased wildfires. Natural resource scientists and managers have to predict and plan for these types of changes. Oregonians have recreational, economic, cultural, or personal interests in ensuring our resources are managed sustainably for long-term public use. Ecosystem-based management is a framework that managers work under, and scientists can inform. Better communication can help managers understand our changing environment. Results from this NOAA West Watch evaluation suggest that this communication tool can be changed to fit the needs of an EBM management system. 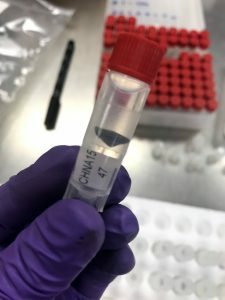 It can connect scientists and Oregon’s natural resource managers to promote collaboration and co-management. Biodiversity is the variety of life on Earth (Hooper et al. 2005). It can be studied on many different scales (Oliver et al. 2015). Look out into your backyard and you will see biodiversity; there is grass, there are a few different types of trees, there is a berry bush, there is a vegetable garden, there are birds, there are rabbits, and there are many different types of insects. The variety of plants and animals in your backyard constitutes the biodiversity of your backyard (Hooper et al. 2015). You can also look at biodiversity on a larger scale, such as the biodiversity in your county. In your county, there are many more species of trees, there are several different types of berries, there are many farms growing vegetables, there are many different species of birds, there are larger mammals, there are many types of insects, and there are rivers full of amphibians and fish. In contrast, we can also study biodiversity on a smaller scale; at the genetic scale (Oliver et al. 2015). Consider humans, we are all the same species, but we all look very different from one another. 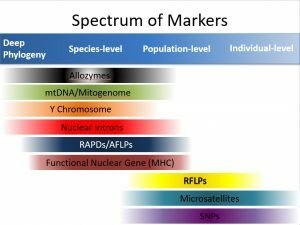 This is because we each have a different set of genes encoded in our DNA which makes each of us unique (Durham 1991). 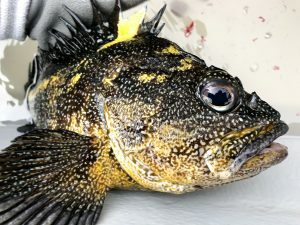 Just like there is genetic diversity in the human population, there is genetic diversity in each of the species we find in our backyard, in our county, or in our oceans (Oliver et al. 2015). What is Resilience and how does it relate to Biodiversity? Today, we live in an ever-changing environment. It is important to have biodiversity in our environment because it makes our ecosystems more resilient (Oliver et al. 2015). Let’s think about our backyard again. The trees in our backyard provide us with something that we need and want in the hot summer months, shade. Shade is considered an ecosystem service; it is a benefit that humans receive from the environment (McLeod and Leslie 2009). Now imagine a big storm comes through your area and all the cottonwood trees in your backyard fall over with the high winds of the storm. If the only type of tree in your backyard was cottonwood, then you would no longer have shade in the summer. Luckily, you also have maple trees in your backyard. These maple trees have a much larger root system, so they can stay standing through the high winds of the storm. So, even though all the cottonwood trees in your backyard are gone, there are still maple trees to provide you with shade in the summer. Having biodiversity of trees in your backyard allows your backyard to be more resilient to storms. Your backyard changed, but it was still able to provide you with the ecosystem service that you wanted, shade. 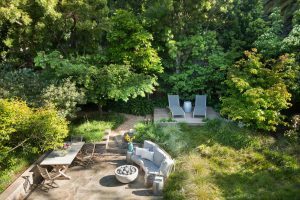 The biodiversity of your backyard ecosystem allows for resilience. Now let’s look at the biodiversity on the smaller scale, let’s consider genetic biodiversity. Your neighbor has only cottonwood trees in their yard; so, you assume that all their trees have blown over in the storm. Yet, when you look over at your neighbor’s backyard, you see that some cottonwood trees are still standing. Why is this? 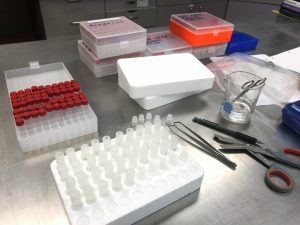 It turns out that while your neighbor does not have a biodiversity of different types of tree species in their backyard, they do have genetic biodiversity in the cottonwoods planted in their backyard. Some of the cottonwood trees planted in their backyard have genes that code for a larger root system. These trees make up a genetically defined group of cottonwood trees that are different from the genetically defined group of cottonwood trees that blew over. 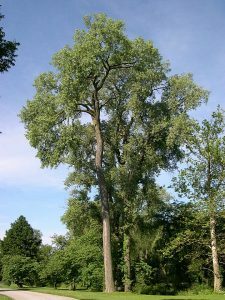 The genetic diversity among cottonwood trees in your neighbor’s backyard allowed for resilience of not only their backyard ecosystem, but also of the cottonwood trees. You still have shade in your backyard, but now you must sit under a maple tree for shade. Your neighbor still has shade, but they can still sit under a cottonwood tree for shade. You planted certain trees in your backyard and continued to maintain the health of these trees; this is a way in which your backyard was managed. By maintaining a diversity of trees species or genetic diversity of cottonwood trees, you can make your backyard ecosystem more resilient to environmental effects (Bagley et al. 2002). Just like you can manage your backyard to be more resilient to storms and a changing environment, we can manage other natural resources to maintain a heathy, productive, and resilient ecosystem that will continue to provide humans with the services that they want and need from the natural environment (McLeod and Leslie 2009; Berks 2012; Lester et al. 2010). In Oregon, fisheries are an important natural resources that provide us with many ecosystem services, including food. Just like shade is an ecosystem service we obtain from the trees in our backyard, seafood is an ecosystem service provided by the ocean. 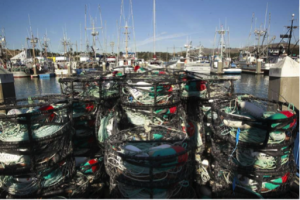 One of the most valuable ocean fisheries in Oregon is the Dungeness crab fishery (Rasmuson 2013). In order to continue catching and eating this natural resource into the future, the fishery is managed. There is uncertainty in what environmental changes or extreme events will occur in the marine ecosystems in the future, but understanding and maintaining the genetic diversity of the Dungeness crab can provide a foundation for a species that has greater resilience to change. It is inevitable that environmental events will negatively impact some of the Dungeness crab along our coasts, but diversity of the population’s genetic composition can increase the likelihood that some of the Dungeness crab will survive. Genetic diversity of the Dungeness crab along our coasts is just one of many aspects of the species that can influence how plentiful the Dungeness crab fishery is along our coasts in the future. The realization that my fellowship is coming to an end has not yet completely hit me yet. In a way, this year will go on record as the quickest year I’ve ever experienced. 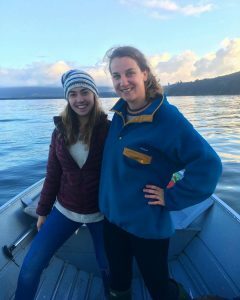 I’ve had the opportunity to gain more hands on experience in my field (Marine Resource Management) than during any other chapter of my life and it has been an absolute honor to work alongside the amazing staff at the Oregon Coastal Management Program. 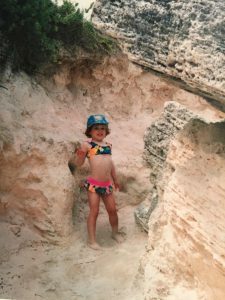 So in wrap up, and for my final Oregon Sea Grant blog post I thought it was only fitting to share just a tidbit of what I have learned, things I have discovered about myself along the way, and what I see in my future. BUT FIRST: It goes without saying, but I couldn’t have come this far in such a short year without the opportunity to be an Oregon Sea Grant Natural Resource Policy Fellow. The OSG team is a well oiled machine that does the work of an office twice their size. It’s not often that you find such a supportive and knowledgeable group of individuals. I’m truly grateful for this experience and I only hope the end of my fellowship is not a goodbye, but rather a see you soon to the Sea Grant family that has embraced this loud and salty New Yorker for 2 years of graduate research and 1 year of professional development. Work-Life Balance is real! : For those that knew me in throughout my college career – sorry if you just had a mild aneurysm hearing that come from me. This realization was one of the hardest for me to come to. As a certified “yes-girl” I thrived on calendar filling, blood-shot eye causing, CV building experiences. Yet this fellowship has taught me that although those experiences helped me to get where I am today, sometimes being a “maybe-girl” or a “I’d rather stay in and watch every 2-star romcom on Netflix with my dog that day-girl” is completely acceptable. Every hour of your day doesn’t have to be optimized for professional development. At a point, your mental health and relaxation is worth more than trying to teach yourself a new skill at 10pm on youtube because a professor back in freshman year statistics said it was a great way to get a job one day (true story). Although I never did full grasp that specific skill, this year was still filled with new personal and professional development – I’ve learned how to sew my own cloths, weave a basket, and have even spent some time reading FUN BOOKS! Overall, it’s great to be thirsty for professional development and bettering your career path, but no candle can burn at both ends forever – so treat yourself! Don’t hesitate to ask: Slightly contradictory to my last bullet, but still important. 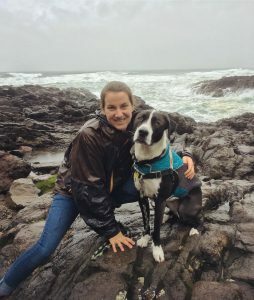 I began my fellowship expecting to work on the Territorial Sea Plan – Rocky Shores Management Strategy, and I have, but I knew I wanted to do more with my time at the Department of land Conservation and Development. Luckily my mentor is a super busy guy, so he was more than open to letting me help on a multitude of other projects. This has allowed me to further work on skills like meeting facilitation, internship supervision, group logistics, grant writing, web development, tribal relations, policy drafting, commission briefings, and so much more. At the same time I have also started work on an evaluative component to Sea Grant scholar opportunities. Moral of the story – want experience doing something? Just ask! Most of the time somebody wants help doing something too! Short-Term Goals: I was honored to partner with the Coastal program to apply for and receive a NOAA Project of Special Merit grant ($225k) to continue the work on the TSP. I’m now actively competing for the position that was written into that grant which will extend my position for another 18 months. – Fingered crossed! Additionally, I’d like to go back to school part time and obtain my project management certificate. Long-Term Goals: Although I haven’t completely ruled out a life filled with chaining myself to trees, I hope to also continue building my skills as a facilitator and project manager while aim to pursue a law degree part time along the way. 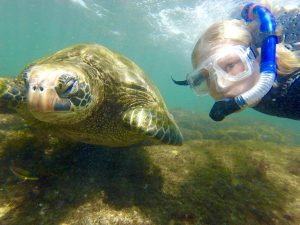 I like the idea of working for state government or a non-profit like the Nature Conservancy as a marine projects/policy coordinator. In a perfect world I would find a home with Sea Grant as an extension agent, project/division coordinator/etc, but regardless of my position title, wherever I end up, I’d like to be in a supervisory role filled with learning and logistics (who doesn’t love a good spreadsheet?). Lastly, wherever I go and whatever I do, I’m thankful to have the best support system a girl could ask for <3 I can’t thank my amazing friends and family, as well as Jake and Timber for always having my back through one adventure after the next. Finishing up this internship with the last week of Summer Science Camp could not be more appropriate. For 9 weeks I squeezed into vans, followed groups of kids on hikes, ran with them on the beach, crafted shirts and art projects, explored with them, all the while catching someone’s first time holding a crab, someone’s first hike down to the Slough, someone’s first beach cleanup. I got to be there for so many moments, working to capture them in just the right way so I could weave them into our digital story. For my final week, I get to simply enjoy their growth and enthusiasm as a camp counselor. Every group of kids is so different and so unpredictable. Some groups have proven to be a worthy test of my patience, others offered a refreshing worldview. In all cases, I feel so privileged to be able to participate in this program and I’m so happy that so many staff members and parents have already watched my video and told me what it captured for them. 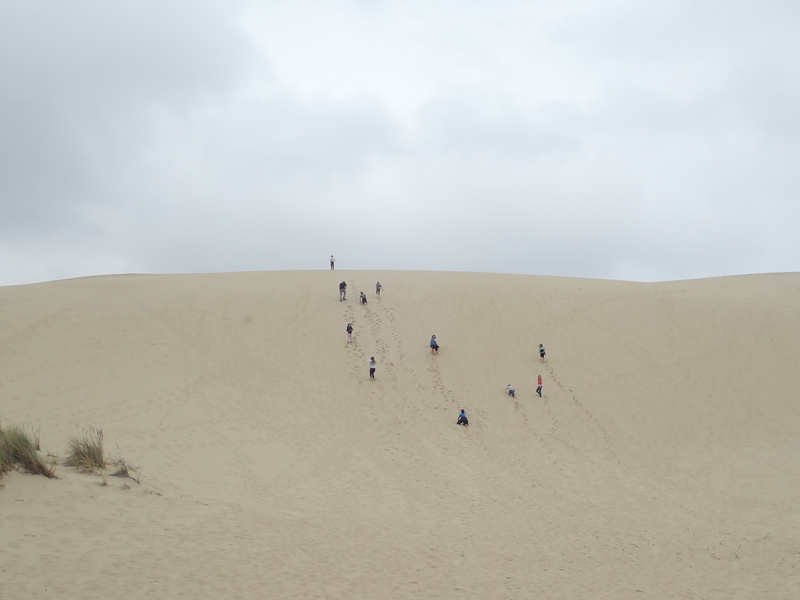 Campers race to the top of the dunes at John Dellenback. Living in Oregon was a whole new two-month life. I’ve thought for a while now about leaving for somewhere where I’d know no one and nowhere to challenge myself and call it an adventure. This wasn’t a difficult challenge. This isn’t because I’m comfortable everywhere I go and am an adaptation queen, but that I am extremely lucky. I am lucky that I loved my position working with ODFW. I am lucky the people I got to work with became mentors professionally and friends personally. I am lucky to have lived in a beautiful and quaint coastal town. I am lucky that my dorm hallmates were genuine, fun, and loved talking about and collecting plants. 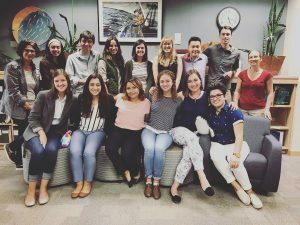 I am lucky that every single 2018 Oregon Sea Grant Summer Scholar is a wonderful person to know, and the lovely ladies who ran this program did a heck of a job. For all these things I feel lucky for, I am thankful. As I write this I am sitting in a study room at my college, Virginia Tech. I’ve jumped right back into my normal life, it’s been a hectic transition. As I placed my few Oregon keepsakes on my shelf last night I had a lot of fun telling my college roommates about them. I have a small stuffed bear dressed as a park ranger I bought during our midsummer camping mishap that left us to eat at a local restaurant that had a cute gift store. I have posters of bay clam and crabs I used to refer to every time I measured samples, now I know more than what the posters say. I bought a piece of cement imprinted with a leaf from a day trip down to Bandon I showed them. I gave my roommate an art print of a caribou I found at the Oregon Coast Aquarium. My shelf holds souvenirs of my summer memories. 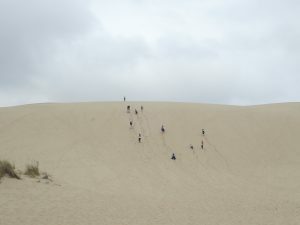 I had a lot of firsts this summer, I’ll try to list all of them but know after I post this blog I’ll think of even more. Tried an Oyster that I didn’t like. Tried a tamale that I did like. Ate new berries: Huckleberry, Marionberry, Salmonberry, Salal Berry. Stayed in a hotel room by myself. Witnessed smoke from forest fires. Saw Harbor Seals in the wild. Saw Bald Eagles in the wild. Saw a porcupine in the wild. Saw whales in the wild. I will miss my wild and wonderful Oregon coast adventure with the people who made it so hard to leave. Bob Mapes, Mo Bancroft, and I are ready to dig a detailed assessment method (DAM) sight to search for clams, crabs, and shrimp. 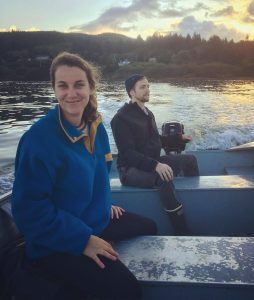 The 2018 Oregon Sea Grant Summer Scholars! Pictured are also Sarah Kolesar and Anne Hayden-Lesmeister, the Research and Scholars Program Leader and Assistant. Liz Perotti, Bob Mapes, Tammy Chapman, and I on board “Saxidomus,” one of ODFW’s boats.